The Danby DER2009W Electric Range is only 20-inches across, but features four burners and a 2.6-cubic-foot capacity oven. It may look like a miniature, but considering that it can bake, boil and broil, the appliance brings everything that is needed to the kitchen. And it makes real food too, not those little dollhouse miniatures that look so good, but aren’t very tasty. Not that I ever tried to eat one, of course. 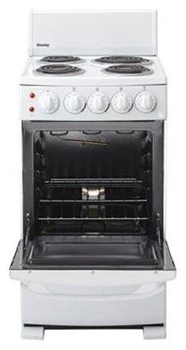 DER2009W is ultra-compact electric range measure only 20 inches wide but offer 4 burners plus an oven. Taking up a minimum amount of space, this range is the perfect addition to trailers, cottages or accessory apartments. Not all cookbooks are meant for cooking up delicious food. Sometimes, they cook up delicious jewelry. 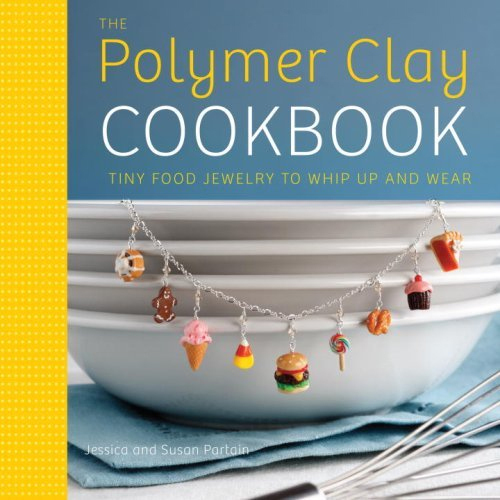 While you won’t actually want to eat any of the creations you cook up with The Polymer Clay Cookbook, that doesn’t mean they won’t look good enough to eat. Using a step-by-step method, authors Jessica and Susan Partain guide readers through the process of creating wearable food miniatures. The book also includes a couple of recipes for food that you can eat. Apparently food jewelry making is an appetizing affair. Click on the source link for an interview and a little insight into the growing food jewelry trend.